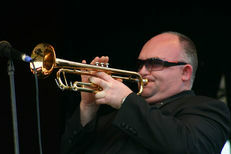 Swing City's musical excellence remains a top choice for many of Australia's biggest stars. James Morrison, Rene Geyer, Doug Parkinson, Carl Riseley, Jacki Cooper, Monica Trapaga, Liam Burrows, Rhonda Burchmore, Grace Knight, Frank Bennett, The Senator, Pardon Me Boys, Don Burrows and Daryl Somers. Swing City played the opening fanfare for the Sydney 2000 Olympic Games, the opening night of Fox Studios in Sydney and has headlined every major event and festival in Australia. Swing City is without peer when it comes to making a splash at major events and corporate functions. 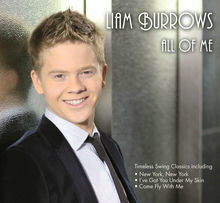 Swing City was asked to record with new Australia's Got Talent star Liam Burrows on his debut album "All of Me". Swing City recorded 18 tracks in one day - all live - all with that big "PHAT" sound. Check out Liam's album on Itunes. Copyright © 2015 MORRISON MUSIC All Rights Reserved.